Empowering people through NLP and Time Line Therapy®, and having them realize that they are not prisoners of Negative Emotions and Limiting Decisions from the past is one of my passions and Time Line Therapy® is one of the best tools I know of on how to achieve it. Therefore when our best graduates use it successfully and talk about their success, it is our greatest joy. It is all about what you do with a great technique. Based on the feedback we receive from all over the world Time Line Therapy® techniques are growing in popularity and gaining ground in their recognition. There is no other set of techniques for releasing Negative Emotions and Limiting Decisions that prevent people’s performance in business, or in personal life. Please note I did not say “getting to understand the Negative Emotions” or “getting in touch with them”, or “getting at peace with them” or “not being able to feel them any longer”. What I said was releasing them from the past so they disappear off the past memories. Now that’s useful. But even more, when our graduates are interviewed by prestigious publications like “Die Presse” in Austria, we’re ecstatic! “Die Presse” is the oldest existing daily newspaper in Austria, founded 1848. The article talking about Time Line Therapy® appeared on page 1 of the weekly “education” part on May 11th, 2013. This is a very conservative, usually mostly sceptic publication in Austria and yet Thomas has made a very important point – he had a chance to discuss Time Line Therapy® and its importance. Congratulations Thomas for Your Success in Getting the Information about Time Line Therapy® Out to the Austrian World! Dr. Thomas Schroeck is one of our best graduates. Austrian born, Thomas has a Masters Degree in Business administration, and a PhD in economics. Among his achievements are: head of department of the Economics Research Institute “Industriewissenschaftliches Institut” in Vienna, lectures in economics and health economics and politics at universities in Austria and abroad, university professor of economics at the University for Business and Technology in Pristina, Kosovo. From 2001 – 2003 CEO of the Julius Raab Foundation (Foundation of the conservative party of Austria) and from 2007 – 2008 dean of the business and economics department of the University for Business and Technology. He is also the owner of a jewellery shop and owner of a company dealing with diamonds and gem stones. And the most important part: from 2009 Thomas is the owner and CEO of c10plus: Trainings in NLP, Time Line Therapy® and Hypnosis as well as Coaching in Vienna, Austria. 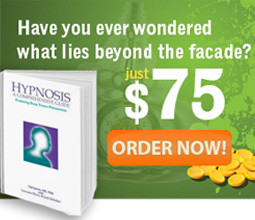 His understating of the field of NLP, Time Line Therapy® and Hypnosis is remarkable. Thomas could have done anything in his life. He is a brilliant thinker, but knowing Thomas – he has a deep desire for helping people getting in touch with and actualizing their best resources for success and fulfilment in life. That’s what makes Thomas the happiest. What’s the best way of putting knowledge in your head? How can behavioural patterns be changed and expanded? Three examples. “Real learning is not learning a new way of behaviour but changing your inner mindset and attitude“, says German neurobiologist Gerald Hüthner in one of his many lectures. A new mindset can only be learnt when new experiences which are connected to the feeling of joy replace old experiences. This revaluation happens when there is enough room for experience. These and other findings in neurobiology do not only apply for children; older people can also benefit from experiencing orientated learning, for instance through their vocational retraining or special management trainings. Why does the brain learn better through experiences which are linked to emotions? According to the teachings of neurobiology, passed experiences are stored in so called experience slots. The first ones are generated between birth and the age of six which is the so called imprint phase. During this period of life, experiences from the outside world are absorbed without any adaptation, thus without critical reflection, and memorised in a strongly abstracted way. Many people’s “programming “ is unconscious, but still controls their lives. If certain thoughts are linked to something uncomfortable, the brain discharges stress hormones and options for action are extremely restricted. “Then everything is just about fight or flight“, says trainer Stella Hiesmayr. In combination with positive associations, development becomes a lot easier. How does the brain work? Emotions are important when it comes to learning, even for adults. Hiesmayr and CIS‘ Leadership Qualities together with the personnel experts Charlotte Eblinger and Ivana Zwickl from Eblinger & Partner, developed a management tool which is based on those findings and is therefore used in order to solve conflicts. “Conflict-experience-slots “would break open, for example, through new experiences and finally become a habit. “That’s why we use elements from improvisation theatres and forum theatres“, says Hiesmayr, explaining the procedure. Within the framework of these role plays, participants re-enact real problems, although they are partly abstracted. Whoever gets to play each of the three characters, offender, victim and rescuer, is able to change with each time and expand his/her treasure trove of experience. “The aim is to become aware of unconscious patterns and to change them in the next step so that options for action are increased and relationships are deepened“, says Hiesmayr. All in all CIS Leadership Qualities devotes to the three personality-relevant areas: charisma, interaction as well as the skill to spot and use your own role and the other’s role, such as the one of colleagues, clients and bosses. This tool is of particular interest for managers of big incorporated companies, but also smaller enterprises. Thomas Schroeck specialises, in his communication trainings, on increasing the brain’s performance using the unconscious mind. In doing so he uses techniques such as Neuro Linguistic Programming (NLP), Time Line Therapy® or Hypnosis. “Emotions are detectable through MRT and can be allocated in the limbic system. In this area Time Line Therapy® can be helpful through letting negative emotions go“, says Schroeck. What is Time Line Therapy® based on? Certain events are stored as experiences which are linked to negative emotions, and events which follow are put on a par with previous ones. The therapy tries to change these links by generating learning experiences out of them. In order to do so, hypnosis techniques are applied. NLP and Time Line Therapy® – How To Use Them For a DIS-EASE Free AGING Does NLP (or Time Line Therapy®) Work For Anxiety? 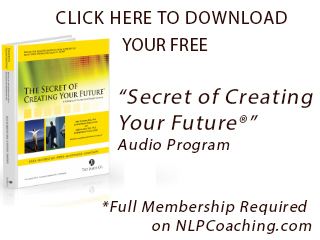 What Else Is Possible With NLP And Time Line Therapy™? By Camelia Paduraru Thank you very much to those who joined us in our exciting “Transform The Planet” Campaign, outlining your empowering life journey or the inspiring transformations of others, using the powerful set of tools found with NLP, Hypnosis, Time Line Therapy® and NLP Coaching! All these articles are proof of our transforming planet. After experiencing TLT(r) myself and practising in the field for several years, I am amazed to think that many years ago I was a addicted to elicit drug use on a very large scale. I came back from that old dead life and have gone beyond what I and many could have imagined!! I can tell EVERYONE that ANYTHING is possible!! Moreover, with TLT(r) the most unimaginable empowerment lead me to become my own authority!! Thanks Tad, Adriana, Brad, Conor & BB for everything you’ve all done for me! That which was inconceivable became my reality. It was like coming out of insanity where I’d lived so long and the liberation is indescribable!